Our Our Hearts Personalized Sweatshirts are available on our premium white cotton/poly blend Personalized Sweatshirt, machine washable in adult sizes S-3XL. Includes FREE Personalization! Upload your favorite photo below. Please don't send any photos in the mail, electronic photos only. Please enter description of photo. (ex. 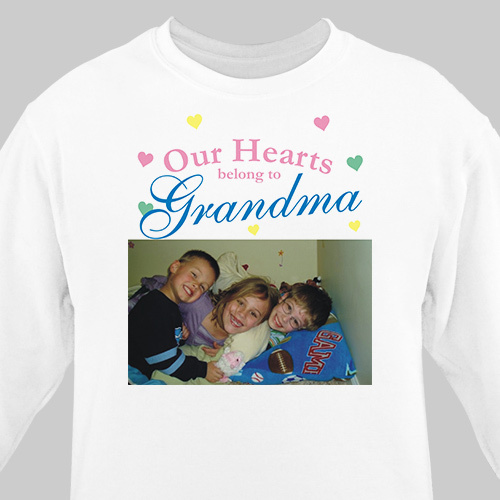 Close up of Cats face) Personalize your Our Hearts Photo Customizable Sweatshirts with any name or title. If photo has only one person we will automatically change design to read My Hearts Belong To.